This altcoin was originally created as a joke, referencing a meme about a funny-looking Shiba Inu dog that gained wide popularity on the internet. Yet, since its creation, the cryptocurrency’s popularity and value has skyrocketed. A massive online community has developed over the years with many loyal fans of the coin. The community has done some incredible things with Dogecoin, from utilizing the cryptocurrency to raise funds for the Jamaican bobsled team to go to the Sochi Winter Olympics to funding a project to build a well in rural Kenya to provide access to drinking water. Recently, Dogecoin has reached over $1 billion in capitalization. Despite its tongue-in-cheek beginning, Dogecoin is literally going to the Moon—no, really. Thanks to crowdfunding efforts, a gold coin representing the cryptocurrency is scheduled to reach the moon’s surface in 2019. Dogecoin is based on Litecoin, which means all changes and updates made to Litecoin will also apply to Dogecoin. Dogecoin never set out to create any groundbreaking technology on the blockchain or do anything fancy and new—it’s just a simple cryptocurrency transaction platform, with a dog slapped on its face. Dogecoin has stayed low in value with very small transaction fees, allowing it to be a cryptocurrency that people actually use, instead of just hold on to as an investment. Dogecoin has become the most popular coin to tip people over the internet in appreciation for their content. Let’s say a person wants to send 10 cents to someone for their helpful comment on Reddit, for example. In Bitcoin, that’s currently 0.000006 BTC. But 10 cents translates to 6.02 DOGE, a much easier conversion rate. Plus, the transaction will be much faster and cheaper than BTC. For this reason, Dogecoin has become the most popular coin to use for rewarding others quickly and easily. It’s a common occurence to see Reddit and Twitter users tipping each other small amounts of DOGE for entertaining content. It is one of the few digital currencies that is predominantly being traded as a currency, rather than being bought up as a speculative investment. It’s being traded and tipped, rather than people holding it and waiting for a market fluctuation to sell it—which is awesome, because that’s what digital currencies should exist for. Another thing that sets Dogecoin apart from other coins is their friendly, open, and huge community. The Dogecoin subreddit boasts almost 100,000 subscribers that enjoy tipping each other in DOGE. The community (they call themselves “shibes”) is generally very positive, friendly, and welcoming. As Dogecoin starts gaining serious value, we must focus on keeping this community about being friendly to each other; money corrupts, and I would hate to see this beautiful community turn into a money hungry beast. The first cause they raised funds for was in January 2014, when the Dogecoin community managed to successfully raise $50,000 in DOGE for the Jamaican bobsled team, which had qualified for, but could not afford to go to, the Sochi Winter Olympics. Thanks to Dogecoin, the team was able to compete in the Olympics that year. Inspired by the fundraising success, The Dogecoin Foundation began collecting donations to build a well in the Tana river basin in Kenya, in cooperation with the nonprofit organization Charity: Water. They hit their goal of 40 million DOGE ($30,000 at the time), collected from more than 4,000 donors. 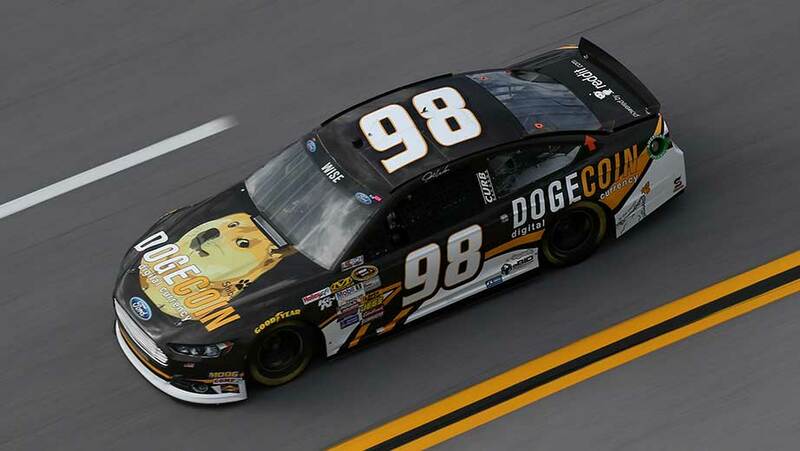 On March 25, 2014, the Dogecoin community successfully raised 67.8 million DOGE (around $55,000) in an effort to sponsor NASCAR driver Josh Wise. He participated in several races with his car decorated in a Dogecoin/Reddit-sponsored paint scheme. The Dogecoin community even managed to raise enough funds to send a physical representation of a Dogecoin to the actual Moon, set to occur in 2019. Yes, Dogecoin is literally going to the Moon. We can surely expect the Dogecoin community to continue to raise more funds for worthy causes (and for some funny causes, as well) in the future. The joke captured the interest of Billy Markus, a Portland-based software engineer, who contacted Palmer about making Dogecoin a reality. Just a little over a week later, on December 6, anyone could mine and trade Dogecoin cryptocurrency. Internet hype over the new coin exploded. What began as a joke poking fun at people going crazy over new digital coins, quickly became a serious currency. The reason I’ve gone from that pisstake stance to where I am now, wanting to make something work, is purely because of the community that has grown around it. Dogecoin has got the most active community I’ve seen out of any cryptocurrency, including Bitcoin. They’re a group that don’t take themselves too seriously, and they want to use this for online tipping specifically. It’s convinced me that it’s not just another ponzi scheme. As long as the community never takes itself too seriously, I’ll always be behind it. The second that some people say ‘let’s make this thing worth a hundred bucks and let’s cash out’, I’ll just say ‘peace out’, because I don’t want to associate myself or be involved with another of those crazy ponzi schemes. That’s why I did the pisstake in the first place. Two months after it was introduced, Palmer’s joke was worth $50 million. By mid-2015, 100 billion coins were in circulation. Unfortunately, the huge financial success attracted greedy and unsavory characters. One scammer raised $750,000 from Dogecoin supporters for a crypto start-up that never materialized. Hackers have stolen thousands of dollars of DOGE from users’ wallets. Palmer quickly became disturbed by the commercialization of his joke currency. He never collected Dogecoin for himself and turned down offers to cash in on the hype—including turning down a $500,000 investment offer from an Australian venture capital firm. Still, Dogecoin has continued to rise in popularity and value, even to this day. While it stagnated for a while, Dogecoin recently saw a huge surge in value, hitting a $1 billion market cap in late December 2017. The Dogecoin team is made up entirely of volunteers. It was originally created by Jackson Palmer and Billy Markus, who now goes by the name “Shibetoshi Nakamoto”—a joke on the name of Bitcoin’s creator, Satoshi Nakamoto. Developers include Max Keller, Ross Nicoll, and Patrick Lodder. Competitors to Dogecoin include all of the top cryptocurrencies out there, such as Bitcoin, Ethereum, and Ripple. Yet, it’s important to note that Dogecoin was never created to become the most valuable coin out there. The creators specifically wanted the coin’s value to remain low so it could easily be used to tip small amounts of money to people online. The biggest challenge Dogecoin has currently is they haven’t released a single update in over 2 years. If they don’t keep up with the constantly evolving crypto world, it’s possible Dogecoin could eventually be left in the dust. Palmer is deeply troubled not only by the way Dogecoin has turned out, but by the entire cryptocurrency sphere as a whole. While the community and the developers are celebrating the coin’s recent surge in value, Palmer believes they’ve all completely missed the point of what cryptocurrencies were created for in the first place. “The fact that most conversations happening in the media and between peers focus on the investment potential is worrying, as it draws attention away from the underlying technology and goals this movement was based [on],” Palmer lamented. Although the original creator feels this way, most of the Dogecoin community are very optimistic about where the coin is headed in the future. There are several ways to obtain Dogecoin. According to a guide posted on the Dogecoin subreddit, if you live in the EU, the best places to buy Dogecoin are on AnycoinDirect and LiteBit. For buyers outside of the EU, you’ll need to first buy some Litecoin from Coinbase and then exchange it into Dogecoin. Another way to obtain Dogecoin, without buying any, is to get involved in the Dogecoin community on Reddit. If you are active and post content that people like, it’s likely that sooner or later someone will tip you in DOGE. As for storing Dogecoin, you’ll need a Dogecoin-compatible wallet. 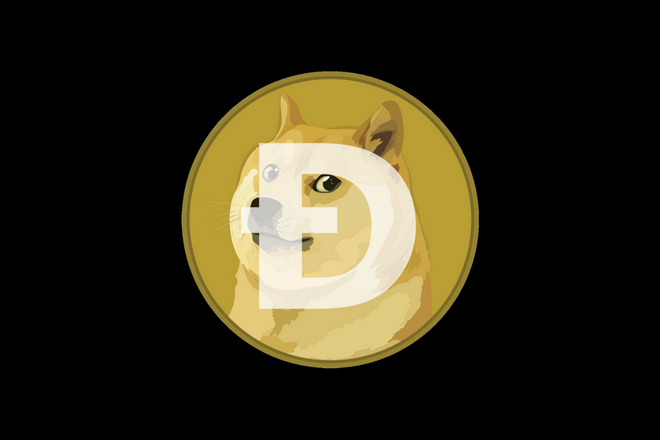 There is the original Dogecoin wallet that you can download here. There are also many other wallet clients online that are compatible with Dogecoin—a popular one is Coinomi. What began as a little joke poking fun at the cryptocurrency craze has evolved into one of the top digital coins on the market today. Dogecoin may not have any fancy features or lofty goals to transform the blockchain, but it does have one of the largest thriving communities of any cryptocurrency out there, full of friendly, lighthearted members that don’t take things too seriously. That’s what sets Dogecoin apart from all the other cryptocurrencies, and why it’s been such a successful coin—the loyal community welcomes everyone with open arms, and they actually use the coin instead of just letting it sit tucked away in a wallet for the long term. Even though the original creator left the project years ago, Dogecoin has continued to rise to the top—and it’s all thanks to the thriving and passionate Dogecoin community. hello zoa. I am from iran and love you and your notes. my data from cryptocurency market not complete. can you help me?